We are pleased to present to you our 2018/2019 Cteen event schedule. 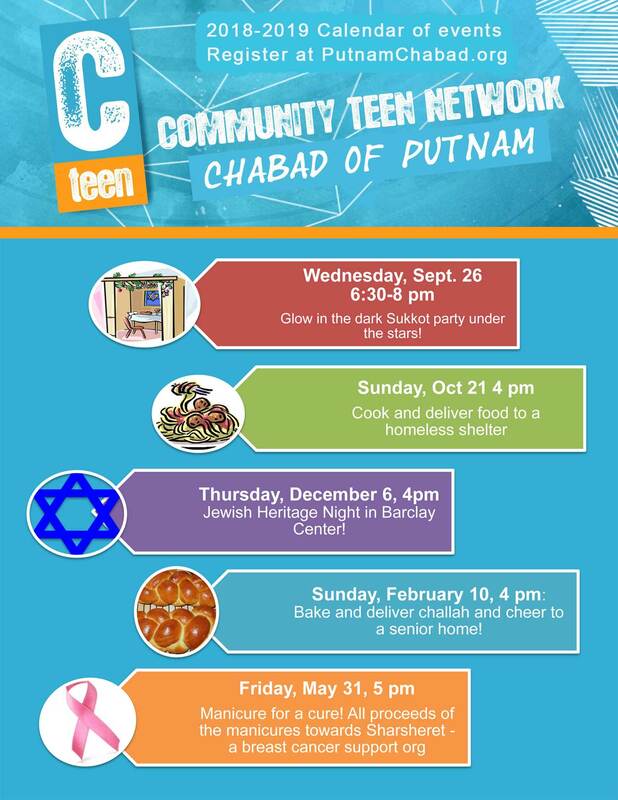 Chabad of Putnam has teamed up with Cteen chapters in Northern Westchester to give local teens an opportunity to meet other Jewish teens. Cteen's mission is to provide a nurturing environment where teens can learn about themselves through giving to others, identify with individuals who share the same faith, and be part of a group that focuses on building core values and stresses positive character development. CTeen harnesses the incredible potential of teenagers with awesome programs that bring teens together to give back to their communities and the environment.